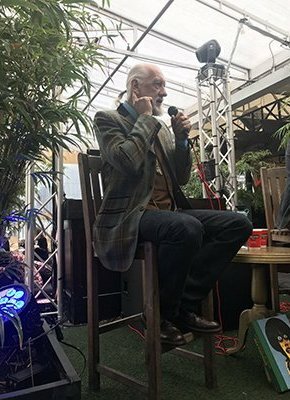 Mick Fleetwood will be appearing at the Piccadilly Theatre in London on the 26th September, in discussion with Guardian writer Michael Hann. Fleetwood will be talking about the early years of Fleetwood Mac and his new edition Love That Burns - A Chronicle of Fleetwood Mac, Volume One: 1967-1974. This is a rare opportunity to hear from one of the band's founding members about how their story began. Exclusively for Genesis subscribers, there will also be a chance to buy the book, Love That Burns - A Chronicle of Fleetwood Mac, Volume One: 1967-1974, attend the talk, and meet Mick Fleetwood to receive a personalised bookplate after the talk. To find out more, and order your copy, click here.